Road tripping through the Italian cities and small villages is the perfect way to experience the best of Italy. Puglia Italy region is relatively undiscovered and unspoilt by international tourists. Seven days exploring this Southern Italian region is the perfect amount of time. Base yourself for a few nights in Lecce and Monopoli, two exceptional Puglia holiday places to explore by day and by night. There’re several routes to choose from but we’ll share our itinerary to save you time and the hassle of researching and planning. Booking.com the world leaders in accommodation offer a large selection of stays to suit every budget. Brindisi airport is approximately 35 minutes from Lecce or another option is from Bari airport, 1h 45m from Lecce. Both airports have a number of car rental companies to choose from. Our preferred car rental booking company is Rentalcars Connect. Rentalcars Connect connects customers to the biggest brands in car hire. Companies like Avis, Budget, Hertz, National, Europcar, Enterprise, Sixt and many more. Start your Puglia Italy Roadtrip from charming Lecce. 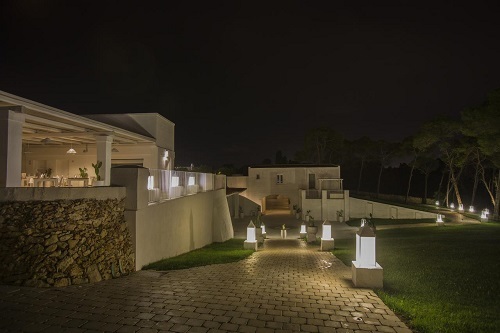 Book three luxurious nights at Palazzo Bignami on Via Lombardia, a stylish B&B providing all the home comforts to make your short stay in Lecce special. Rooms and shared areas are tastefully decorated with luxurious furnishings, attractive wall hangings and pretty decorative trinkets. The spacious breakfast room is both elegant and functional. It is obvious from the moment you walk through the large entry doors into the foyer that this is no ordinary B&B. Situated just 10 minutes’ walk from the old town, this alluring accommodation also has a gorgeous rooftop terrace and garden with views to the old town. In addition to elegance, beauty and home comforts, guests are treated to a mouth-watering hearty Italian breakfast and warm hospitality. To secure your stay at Palazzo Bignami, visit Booking.com, the world-leaders in accommodation. Lecce is one of Puglia’s most famous and loved cities. Every year, millions of people visit Lecce, ‘The Florence of the South’, to admire the baroque architecture, ancient ruins, Cartapesta artisans and stroll through the narrow streets and people watch in the palazzos. There is much on offer in Lecce and deciding what to see and do can be difficult. Our 3-day Lecce guide will have you seeing and doing the best things in a short time. The best Puglia beaches and coastal hideaways are along Italy’s sun-drenched heel. The region is identified by its whitewashed hilltop towns, rural setting, traditional Italian cuisine, Puglia wines and spectacular mediterranean coastline. After exploring baroque Lecce take the 30-minute drive to Gallipoli. There is a large parking lot near the port, castle and old-town, alternately paid parking spaces can be found closer to the new town. Did you know that TripAdvisor travellers can join FREE travel forums and have access to helpful information on thousands of destinations. Gallipoli lives up to the meaning of its name ‘beautiful city’. The almost completely fortified old town sits on a small island which connects to the mainland by a 17th century bridge. The 13th century fortress and defensive walls built in the 14th century add to the overall charm of Gallipoli. The extravagant baroque style architecture indicates the cultural significance and former wealth of this once thriving trading port. Stumble upon the imposing baroque cathedrals and public squares found down the narrow labyrinth streets and take in the views while promenading along the sea front. In the warmer months, Gallipoli attracts sun and beach lovers to its long sandy beaches and turquoise coloured waters. Colourful seaside Gallipoli restaurants spill out on to the ancient stone pavement serving delicious fresh Apulian seafood, paired with quality Puglia wines produced in the region. 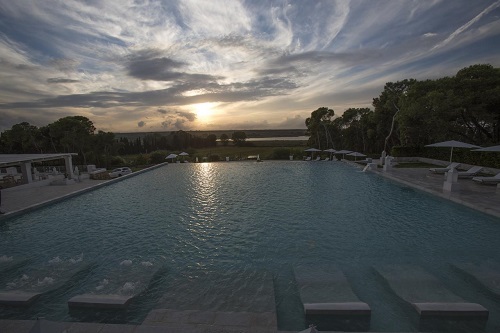 An expert guide to the Best Luxury Hotel in Otranto Italy. 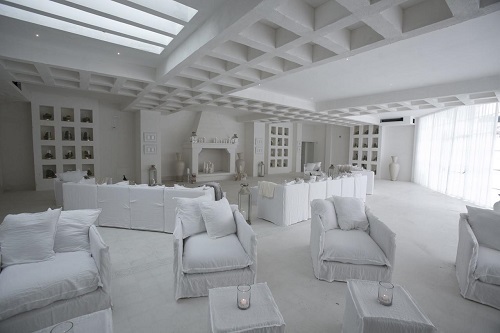 Masseria Muzza is just 10 minutes’ drive from the centre of Otranto and 3 km from Baia dei Turchi (Bay of Turks) beach. Each room has all the luxury comforts you would expect including fluffy white bathrobes to laze around in. All rooms feature a patio and white stone walls, satellite flat-screen TV, a well-stocked minibar, and air conditioning. Private bathrooms come with a sensory shower, spa bath, soft bathrobes plus slippers, and a hairdryer. Some rooms have a fireplace. Guests can relax at the property’s 2 restaurants and wellness centre, which includes an indoor hydromassage pool, Turkish bath, and a sauna. A kneipp path, gym, and sensory showers. Santa Cesarea Terme is a 30-minute drive from the property, while Alimini beach is 8 km away. 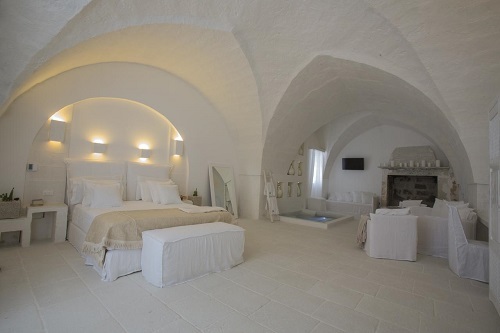 Rated as the best couple escape destination in Otranto and also rated the best value stay in Otranto. Take a look at the customer reviews on Otrano TripAdvisor. Otranto, Puglia is located on the east coast of Salento peninsula, 68 kilometres and 50 minutes from Gallipoli on the west coast. It’s on this drive across Italy from west to east that you will be surprised at how narrow this part of Italy is. The charming historic seaside town and port on the Adriatic coast centres around Castello di Otranto and its colourful past. On a clear day, you can sight Albania over the Strait of Otranto. One of the most significant historical events happened in 1480 when the Turks invaded Otranto and executed 800 nationals for refusing to convert to Islam. The Otranto massacre was perpetrated on a hill just outside of Otranto city. The 800 men were taken to a place called the Hill of the Minerva, and, one by one, beheaded in full view of their fellow prisoners. The spot forever after became known as the Hill of the Martyrs. The relics of the martyrs of Otranto are stacked neatly behind glass in the cathedral. The white buildings, turquoise waters and rocky outcrop may look familiar as these beauties have been featured on several of the Puglia’s tourism brochures. Visitors love to visit Otranto for it spectacular beaches, lakes and forests that come together. Baia dei Turchi (the Bay of the Turks) is a gorgeous beach cove located on the east coast of the Salento Peninsula. Bay of Turks is perhaps the most beautiful beach in Otranto. Another fabulous beach (fresh and saltwater lakes) worth investigating is Alimini, north of Baia dei Turchi. The sheltered waters makes Porto Badisco an excellent spot for snorkeling and swimming. At first sighting, this fairytale setting with its Moorish architecture looks out of character perched on the white cliffs of Salento. The rocky hills and natural forests surround the turquoise coloured sea and small naturally formed pools. Santa Cesarea Terme, seaside resort and spa town is said to possess magic waters and therapeutic mud with health and beauty properties. 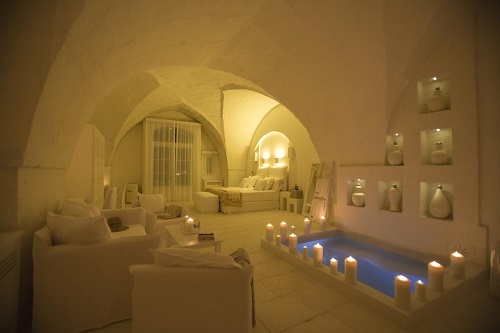 Since the 2nd century, Santa Cesarea Terme thermal baths are said to improve skin and inflammatory conditions such as arthritis and rheumatism. Benefits from the natural virtues of mud and sulphurous waters flow into the caves of Fetida e Soffatara, Gattulla and Soffurea with temperatures around 31 degrees. Slender white homes sit elegantly next to the imposing colourful Moorish Palace with its onion domes and extravagant exterior features. The tuff bluff (volcanic rock) and coastline is very beautiful and worth seeing even if you don’t have any desire to visit the thermal baths. Continue your journey along the Adriatic coast of Salento to discover Castro, another relatively unknown gem. Castro is just 6.5 kilometres from Santa Cesarea Terme and considered one of the most beautiful cities on the east coast. Visitors are attracted to its fishing port, marina and beautiful architectural monuments such as the 16th century Aragonese Castle and 10th century Byzantine Church. But, the number one thing most visitors come for, is to see the famous Zinzulusa Cave. A cave system of limestone formations of stalactites and stalagmites that twist and hang from the ceiling like rags. Local bishop Antonio Francesco del Duca discovered the grotto in 1793, but the cave has only been open to the public since the late 1960s. The inland drive from Castro to Lecce is only 43 kilometres (45 minutes), where you can get a glimpse of the Italian countryside and farmlands from the highway. Pizza lovers must eat at La Succursale, a busy pizzeria near Lecce’s university and just 12 minutes walk from Palazzo Bignami. Delicious thick rimmed pizza accompanied by quality craft beer is the perfect end to another great day in the Puglia region. Enjoy your last night in Lecce. Tomorrow’s road trip (Part 2 ) ends in Monopoli, just 1.15 minutes from Lecce. For those planning to visit the Puglia region make sure you include a visit or short stay in Lecce.